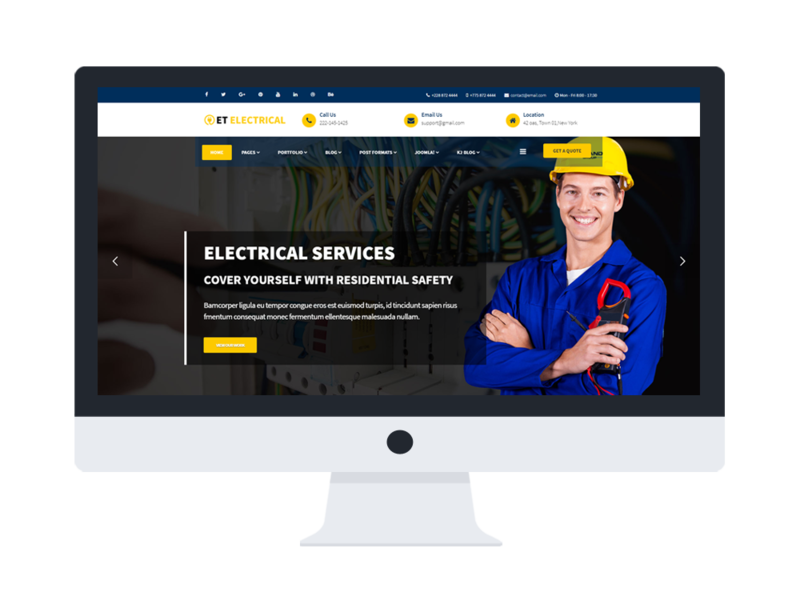 ET Electrical is a fully responsive Joomla Electrical website template that is specially designed for kinds of power company providing electricity, green energy, and electric repair services. 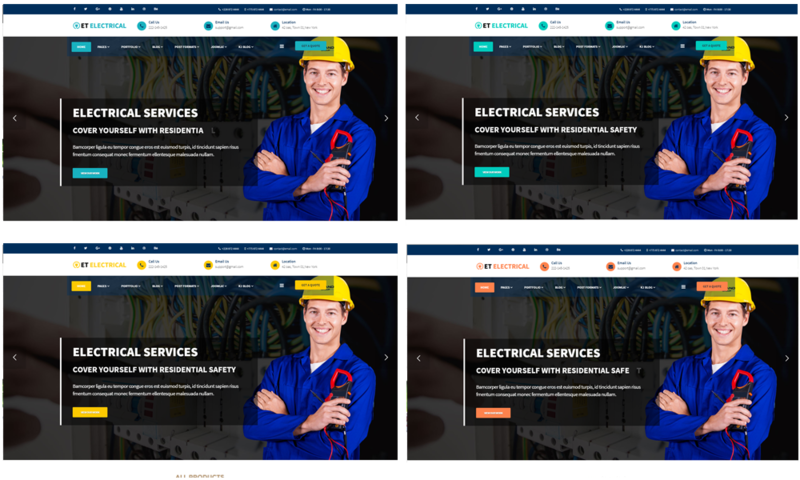 This template is also perfectly suited with individual electricians to showcase and promote their services and products. 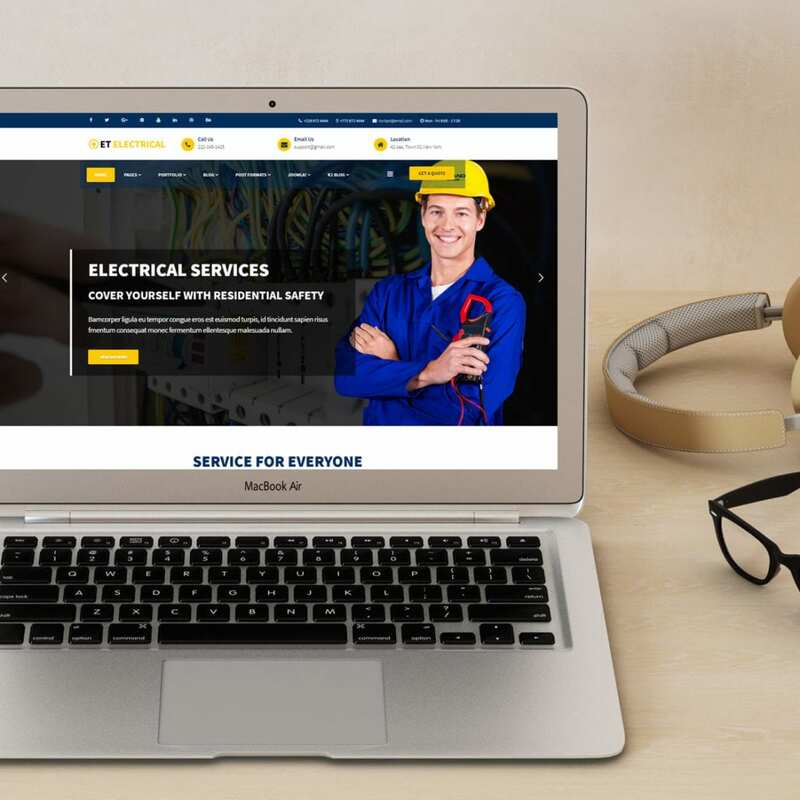 Brought to you with the best professional design and useful features, ET Electrical will be an appropriate option for entrepreneurs and individuals relating to electricity industry to advertise themselves widely on internet. 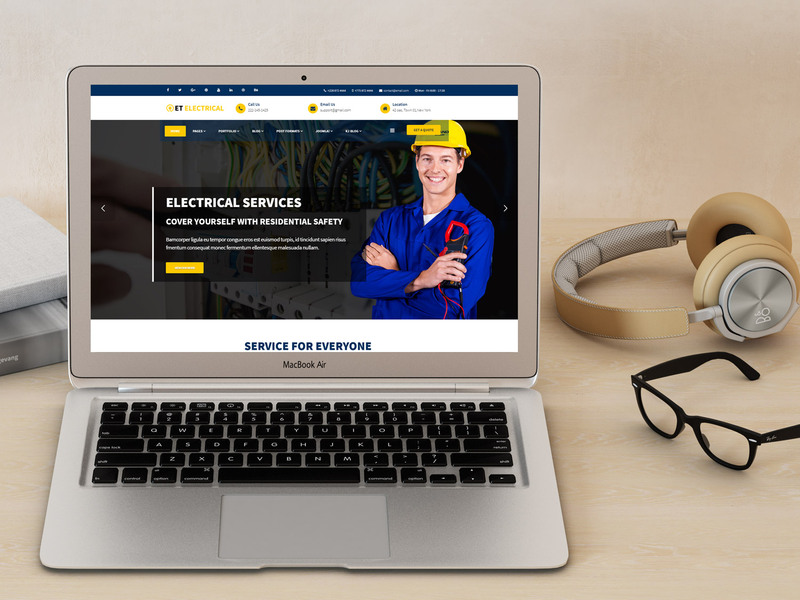 Our Electrical website template has been built with the latest web technologies, a powerful framework with fully bootstrap, strong shortcodes, unlimited module positions and drag-drop layout, therefore, there’s nothing impossible to do with ET Electrical, you can freely customize the template as the way you want it to be. Equipped with high quality images, flexible slider, and well-organized content, your site will be much more attractive in the eyes of visitors and keep them stay longer on your site. Besides, this template comes with a fully responsive layout, which appears perfectly on every mobile device and PC screen, even on the latest model, which helps you gain more traffics from mobile users. 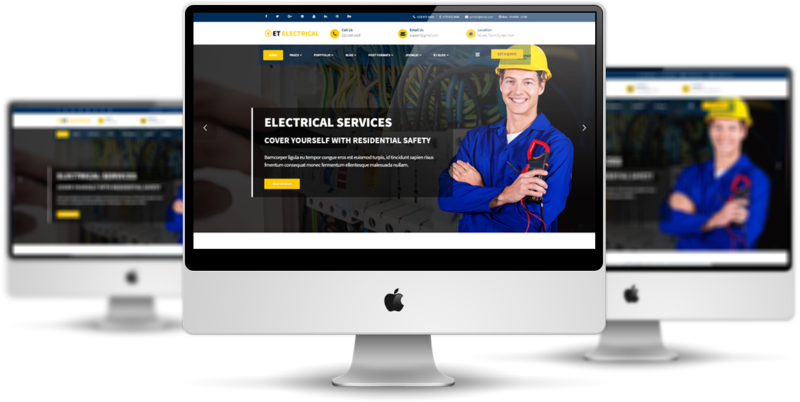 There is no reason to ignore this amazing Electrical website template, just come and explore it now! 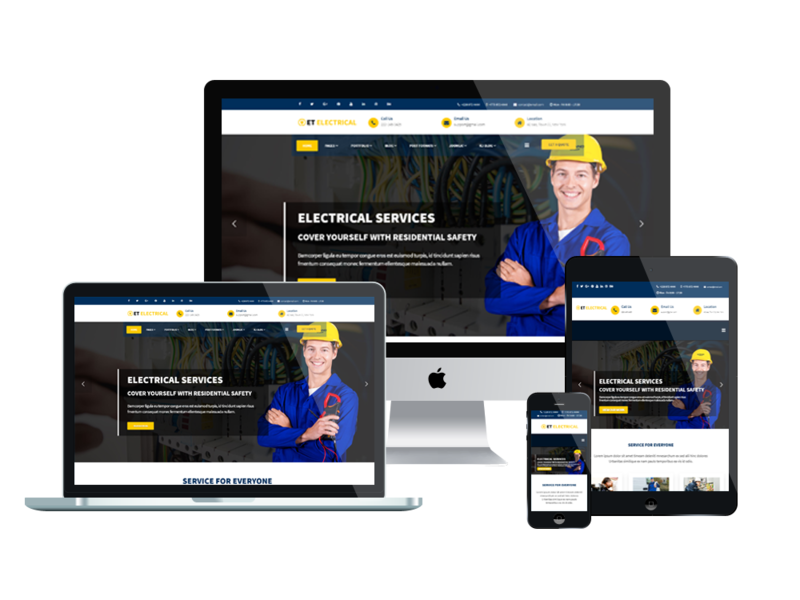 ET Electrical Joomla Template is simple, clean looking template designed mainly for new business websites. It’s easy to custom and edit content via convenient template parameters. 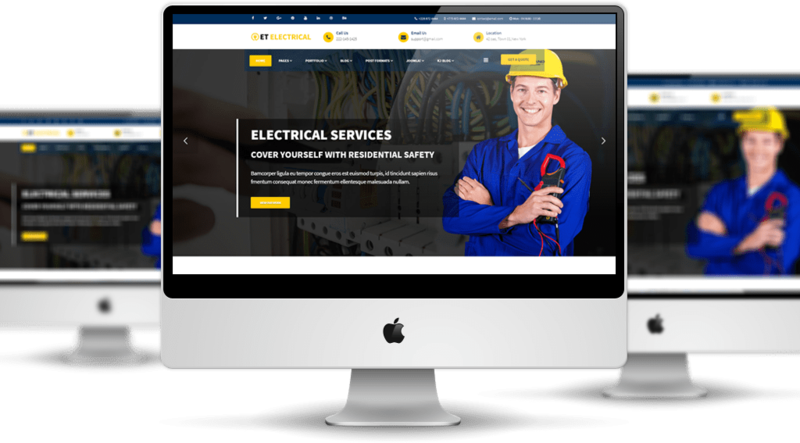 ET Electrical Joomla Template with fully responsive layout based on Bootstrap CSS. It has special built-in design optimized for modern mobile devices iPhone, Android and Windows Mobile-based. ET Electrical Joomla Template supports 4 color styles helping to create gorgeous websites with various layouts. Besides, the template comes with flexible homepage which includes boxed and full width layout. You can see demo via Template Site Tool on demo site. It’s also easy to extend color styles.